Mothers Day gifts for Grandma need to be extra special because Grandmothers are special. Grandmas have time to spend with a child in ways that Moms are often too busy for. They have time to listen. Grandmas can tell lots of stories about when they were little or when Mom or Dad was young. It’s important for young children to be able to do something special for Grandma because having a grandparent is very important. See Mothers Day Crafts for Kids for more Mothers Day gifts for Grandma. A calling card would be very appreciated, too. Along with it write a letter telling her how much she means to you. Any gift a child makes for his or her Grandmother will be cherished by her. 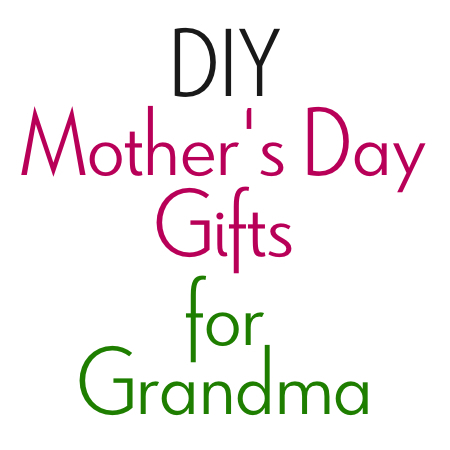 See also Gifts Kids Can Make for more ideas for Mothers Day gifts for grandma. Use your child’s art to make a special gift box for grandma to cherish. This fan is an especially fun gift from a toddler or very young child. Use a potholder to make a Quick Eyeglasses Holder. Make this clever bracelet fastening tool with a couple of tools and a piece of wire. A great gift for Grandma, who may have trouble fastening her bracelets! Lots of great ideas for a gift basket for Grandma. Use a pair of knee socks to make easy No Sew Fingerless Gloves. Try making one of these clever photo ideas for Mother’s Day. 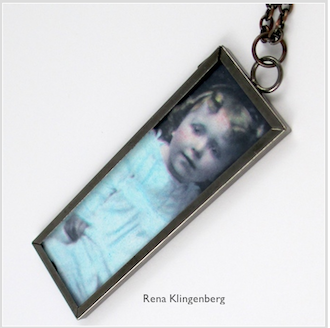 Create a beautiful hand colored photo to make a cherished necklace or bracelet. What grandma wouldn’t love a baby photo necklace of her kids or grandkids! For a super cute Mothers Day card idea for Grandma, photograph your kids holding fun words. Use your kids’ artwork to decorate a special artwork candle for Grandma. Decoupage this lovely saying on a wood block for Grandma & Mother’s Day block. Mod Podge photos onto a wood block for a photo cube for Mom or Grandma. To craft a photo plate, Mod Podge a photo to the bottom of a clear plate. Then Mod Podge a piece of fabric over it all and trim to fit. Mod Podge a favorite photo of your kids to some popsicle sticks and seal with more Mod Podge. Cut the photo puzzle apart and put in a decorated box or recycled can. Craft a photo holder with a small recycled bottle and put your kids photos on it. Grandma is sure to love her photos in a bottle. Craft a fun silhouette checkbook cover for Grandma with silhouettes of her grandchildren. Let your children color on shapes Shrink Plastic, punch a hole in the top, and then shrink them. Add a jump ring and it’s ready for a Mother’s Day Bracelet for Grandma. Attach mini photos to scrabble tiles to make this memory bracelet. Sure to be loved by Grandma. For Grandma’s little treasure box, decorate a matchbox or other small box and fill with her treasures: photos of her children and grandchildren. Add this poem to your little one’s handprints and frame it for Grandma. She’s sure to love it! These Mothers Day gifts for grandma would make great gift ideas for any occasion or time of the year. Lots of great ideas! Thanks for gathering them in one place. I’d love you to check out our blog and the special way we are saying thanks to moms! I’m glad I found your post through the Take A Look Tuesday link party. Thank you! Lots of fun ideas! I found you at the Hope in Every Footstep link party! So many great ideas. Thanks for sharing at TTF! Great ideas! Visiting from the Do Tell Tuesday Blog Hop. Adding this post to my list of gift ideas. Fabulous! Pinned and am featuring at Family Fun Friday. Some great ideas!! Thank you for sharing at Sharing Saturday!! And congrats on being most clicked this week!! Those are lovely ideas. Thanks for linking up to Sweet and Savoury Sunday, stop by and link up again. Have a great weekend!! These are great ideas, and just in time. Thanks so much. Thanks so much for sharing these wonderful ideas on Grandma Ideas Sharing Time link party. Such wonderful ideas. Ones that this grandma would love! Thanks for sharing them with SYC. Great ideas for Grandma! Love it. Thanks for sharing at Snickerdoodle. Hope to see you again soon! What a great roundup Noreen! Sadly I only have my husband’s grandma in my life but she would absolutely adore any of these homemade gifts. I’m going to get busy and make her something. 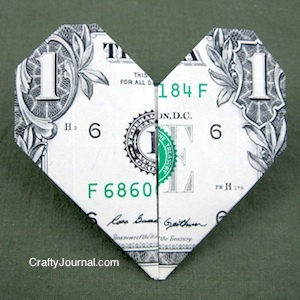 Thank you so much for linking up to Thriving on Thursdays. It’s always lovely to see you each week. I’m featuring this post at tomorrow’s party.